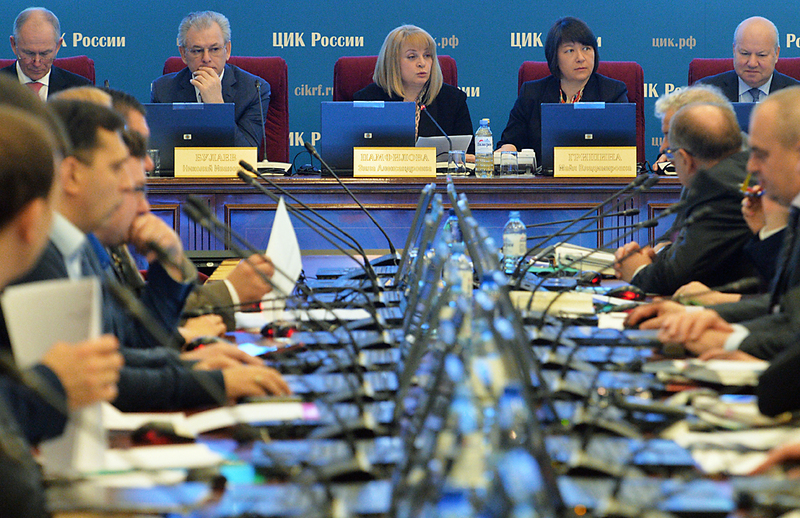 Chairman of Russia’s Central Election Commission Ella Pamfilova (center) attends a meeting of the Commission. A number of independent organizations in the U.S. accepted Russia's invitation to observe elections to Russia’s lower house of parliament, says the Central Election Commission head Ella Pamfilova. Representatives of international organizations, including from the United States, have accepted an invitation to monitor the upcoming elections to Russia’s lower house of parliament, Ella Pamfilova, chairperson of the Russian Central Election Commission, said on Aug. 16. "Now we will start publishing the lists of monitors from various organizations who have accepted [the invitation of the Central Election Commission]. The US representatives from various international organizations have also accepted it, of course," Pamfilova told reporters. Several "independent representatives from the US" have accepted the invitation to monitor the elections, Pamfilova said, providing no further details on the organizations. "There is the wish of the US representatives to take part in the monitoring," she said. Elections to the 450-seat Russian State Duma will be held on Sept. 18. According to the mixed system, 225 lawmakers will be elected in one-seat constituencies and another 225 will be elected by party tickets. On June 17, Russian President Vladimir Putin signed a decree setting the elections. The election campaign officially kicked off the same day the decree was published. In addition to the State Duma elections, 39 regions will elect their legislative assemblies, while seven constituent regions will hold direct elections of their top officials. Municipal elections will be also held in about 5,000 constituencies.